"We take the highest and best of human faculties, and, exalting them in our imagination to an unlimited extent, endeavour to attain an imperfect conception of that Infinite Power which created every thing around us." 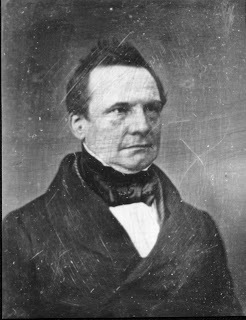 One important contributor was Charles Babbage, the mathematician, philosopher and inventor who originated the concept of the programmable computer. In 1837 Babbage produced his own unofficial addition to the Bridgewater Treatises, a series of works of natural theology which had been inspired by William Paley’s framework of a divine designer (later on they would become known as ‘the bilgewater treatises’ by their critics such as Robert Knox). Naturally enough, since he was thinking in terms of his beloved engines, Babbage conceived of God as a man of science and a programmer, who uses natural laws to create the cosmos. Instead of ‘perpetually interfering, to alter for a time the laws he had previously ordained; thus denying to himself the highest attribute of omnipotence’, a celestial program had been devised at the time of the creation. Such details as the creation of new species and miracles were therefore ingenious subroutines called down from the heavenly library (presumably things like sin, infectious diseases and vestigial organs are bugs in the system). Babbage speculated that God had created ‘one general and comprehensive law, from which every visible form, both in the organic and inorganic world flows, as the necessary consequence of the first impression of that law upon matter’, this law would be responsible for ‘all the combinations and modifications of matter’. What we therefore see in Babbage and Herschel's thought, is a move away from miracle towards the Darwinian picture of the activities of natural laws. Yet for Babbage, ‘the greater the number of consequences resulting from any law, and the more they are foreseen, the greater the knowledge and intelligence we ascribe to the being by which it was ordained’. Hence the fact that organic origins are law bound, only serves to testify to the glory of God. He was happy to agree with Herschel’s ‘Discourses’, that the actions of laws on matter provides a proof for the existence of God ‘by giving to each of these atoms the essential characters, at once, of a manufactured article and a subordinate agent’. Hence the deity acts as both manufacturer and programmer. He ends by looking forward to a future state in which we might turn from contemplation on our own reflections to a discovery of nature’s laws and ‘the invention of new methods by which our faculties might be aided in that research’. It is touching to note how erudite and poetic Babbage’s observations were in comparison to the rather dismal ‘natural a-theology' we are accustomed to nowadays. It is also interesting to see how they anticipated later developments. 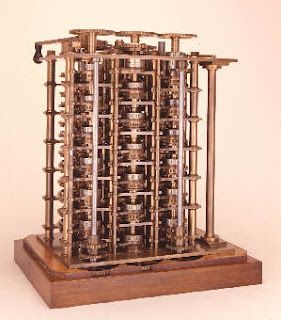 Perhaps if we discover a theory of everything, it will be close to Babbage’s ‘one general and comprehensive law’ from which all the details of our existence progressively emerge; the difference engine of nature which creates it's own programs. My wife sent me a Facebook meme requiring that I answer a few multiple choice questions to establish which great philosopher I am. (By the way, isn’t it nice that the word ‘meme’ finally has a useful meaning, as in amusing activity sent around the Internet. It’s not quite as grand as being a universal unit of human culture, but it is something.) Anyhow, I answered the questions and was revealed as a student of the thought of Søren Aabye Kierkegaard (1813 - 1855), a depressed Dane. He spent almost all his life in Copenhagen, never married (although he was engaged) and wrestled with the philosophical problems presented by the Christian faith. I suppose the meme associated me with Kiekegaard because of the answer I quite consciously chose to the first question “is there a God?” I regard the existence of God as blindingly obvious and impossible to prove. As this seemed close to Kiekegaard’s own requirement of a leap of faith, I selected that option. Most of my other answers could just as well as been Thomist, but I don’t know if Aquinas figures as a result of the meme. My wife found she was John Locke. I have to admit I was both proud of her and quite envious. Locke’s philosophy combined Christianity and reason to produce liberalism. He was well aware that reason alone goes not lead you to the sunny liberal uplands (a point secularists are keen to ignore). He was also a believer in the ‘blank slate’ which concerned my wife (good Pinkerist that she is) but you can never be right about everything. So which great philosopher are you? Lee Smolin is a well known and well regarded theoretical physicist who, like all his colleagues, lives in the shadow of the great advances in physics made during the first half of the twentieth century. His latest book, The Trouble with Physics, received very high praise from Bryan Appleyard and I thought it would be a good partner to Brian Greene’s The Fabric of the Cosmos because Greene is string theory’s most vocal advocate and Smolin its most celebrated critic. The Trouble with Physics is that there has been no substantial step forward since the standard model of particle physics was completed in the mid-seventies. I’m not quite sure I agree with this because inflationary cosmology has surely made substantial progress in explaining the evolution of the universe, but Smolin does not consider that inflation has quite been proved. His real problem is with string theory, which has taken up entire careers for very little return. There is no doubt now that string theory does not do what it is supposed to do and exactly what, if anything, it does achieve remains a mystery. Smolin is very concerned that all the physicists wasting their time with string theory could have been more profitably engaged elsewhere while radical thinkers (he calls them sages) who might have provided the necessary new directions have decided that physics is not for them. As a primer on fundamental science, The Trouble with Physics is an easier read than The Fabric of the Cosmos. As a result, it is simple not as good as Greene’s book, since it is an iron law of popular science that the harder titles are invariably the best ones. Smolin’s final section, where he analyses what is wrong with science and what we can do about it, is a typical piece of naïve and well-meaning journalism. It never occurs to him that the modern sociology of science is an inevitable result of massive government funding and of lots of scientists who can have very comfortable careers without actually producing anything meaningful. It is unfortunate that there is probably no viable alternative given the money involved nowadays. The best chapter of the book sets out some intriguing experimental results from cosmic rays and the Pioneer spacecraft that appear to cast doubt on special relativity. I would have enjoyed more on this but Smolin just scratches the surface, his only intention being to show that there is life beyond string theory. 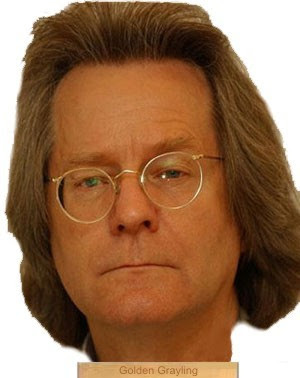 I am sad to announce that – with a somewhat tiresome predictability – I have decided to award A.C Grayling the ‘Golden Grayling’ award for the most intellectually inept attack on religion. I have been compelled to do so by his recent review of John Polkinghorne and Nicolas Beale’s new book ‘Questions of Truth’, a short but pungent piece which occasionally threatens to make an interesting point, but rapidly degenerates into mudslinging and snide remarks about ‘the superstitious lucubrations of illiterate goatherds living several thousand years’. One has to say that the poor old ancient Hebrews get a pretty short shrift these days from the odious Oxbridge humanist. You usually see them described as ‘sub-literate bronze age herdsmen’ or ‘sky fairy worshipping’ simpletons'. The fact that their concept of the ‘imago dei’ - that human beings are created in the image of God - later became the foundation for the idea of natural rights, appears to have been swept under the carpet. Odd that, considering human rights is Graylings’s cause celebre. And what of the fact that the creation myth of genesis - with its orderly Cosmos created and ruled over by an Omnipotent God - matured during the 17th century into the concept that that nature has an intelligible structure and is governed by mathematical laws? (something Grayling should be aware of, having written a book on Descartes). Oh well, we shouldn’t let a mere detail like historical fact get in the way of a good polemic. The argument that the universe exists for the express purpose of making the existence of humans possible has long since been debunked, and it is discreditable of Beale-Polkinghorne to try to pass it off on the unsuspecting. In case you need reminding, the point can be illustrated as follows: I would not be writing this on a laptop if computers had not been invented, but this does not prove that computers were invented so that I could write this. Mathematicians have proved that a universal computing machine can create an artificial world that is itself capable of simulating its own world, and so on ad infinitum. In other words, simulations nest inside simulations inside simulations ... Because fake worlds can outnumber real ones without restriction, the "real" multiverse would inevitably spawn a vastly greater number of virtual multiverses. Indeed, there would be a limitless tower of virtual multiverses, leaving the "real" one swamped in a sea of fakes. At which point one feels compelled to reach for Occam's razor and begin slashing like Norman Bates. At least, if we were living in a simulated universe it would explain why so many boring and predictable things keep happening. The programmers obviously suffer from a lack of imagination. Another pet peeve for Grayling is the idea that anyone could hold to an interpretation of scripture that isn’t completely crazy. Not being a Young Earth Creationist is somehow cheating. The rule appears to be that where science and religion directly conflict - about the origin of the universe, let us say - the religious tale (Genesis) gets turned into symbol, thus sidestepping the possibility of direct and testable confrontation. "Now what man of intelligence will believe that the first and the second and the third day, and the evening and the morning existed without the sun and moon and stars?... I do not think anyone will doubt that these are figurative expressions which indicate certain mysteries through a semblance of history and not through actual events." Literalism only crept in with the rise of science in the 17th century when people began to think that only material things are true, therefore the bible must be talking about material things and we have to ask questions like 'how big was Noah's ark?'. It’s also worth pointing out that one of the most difficult conflicts in the history of science and religion was that between the eternal universe of Aristotle and the finite created universe of Genesis. In the 19th century it was said that the fact that that we lived in an eternal universe implied atheism. Now it has been found to be finite and we are told that implies atheism too. ‘Reason’, as Hume maintained, is 'the slave of the passions’. Thus have Lucretius’s eternal atomistic void, the omnipotent God of Genesis, and Aristotle’s indifferent prime mover battled it out of the centuries; the ascendency of one over the other owing more to the prevailing taste than to a dispassionate analysis of nature. And of course Beale-Polkinghorne have to be mind-brain dualists (see their chapter on this, in which their dualism is described in their own version of Newspeak as "dual aspect monism" in which "mind and brain are not identical" - work that one out!) in order for them to keep a place for the concept of "soul", itself explained in a cloud of fudge by analogy with piano and the music played on it: "...layers...indeterminism...er...Penrose...chaos theory...quantum mechanics...er...blah blah...see my book chapter 9, all rather complicated..."
I don’t know if A.C has been keeping tabs on current trends in the philosophy of mind. It sounds like all he has read is Dan Dennett’s courageous but widely derided ‘Consciousness Explained’, or ‘Conciousness explained away’ as its detractors would have it. The most fashionable trend at the moment is non reductive physicalism and the 'property dualism' of David Chalmers is beginning to find a foothold. Judging by his stream of consciousness in the review (or whatever is actually permitted under strict monism) Grayling doesn’t appear to understand it, or to want to understand it. Flush from his denouncement of the fantasies of Polkinghorne and Beale, as the pièce de résistance Grayling implores the Royal Society to banish their ‘delusions’ and their ‘sticky fingers’ from the premises. Polkinghorne dishonours the Royal Society by exploiting his Fellowship to publicise this weak, casuistical and tendentious pamphlet on its precincts, and the Royal Society does itself no favours by allowing Polkinghorne to do it. The Royal Society should insist that, as it is the country's one principal institution that exists to serve science, and as there are hundreds of other places where theology and religion are the staple and main point, there will be no more special pleading for and insinuation of religion by religious apologists within its doors. On that note, here is a sort of pub quiz type question. What do the following historical figures have in common?. Once upon a time, in some out of the way corner of that universe which is dispersed into numberless twinkling solar systems, there was a star upon which clever beasts invented knowing. That was the most arrogant and mendacious minute of "world history," but nevertheless, it was only a minute. After nature had drawn a few breaths, the star cooled and congealed, and the clever beasts had to die. To think we have any significance or value in light of this is essentially to stick your fingers in your ears, shake your head, and say, "La la la la, I can't hear you!" One of the elements in this metanarrative is the incomprehensible vastness of the universe, only discovered in the modern scientific era, and the infinitesimal size of the earth in comparison. This renders absurd any suggestion that human beings, occupying only a speck of dust in a cosmic sandstorm, are special, showing (once again) that contemporary science has refuted Christianity. Or so the story goes. This view is expressed well by Douglas Adams' Total Perspective Vortex and Monty Python's Galaxy Song. I was going to embed the latter, but since there are some, shall we say, improprieties therein, I decided to go with a different song that expresses this sentiment in a more family-friendly fashion. Unfortunately (at least for some), there are multiple problems with the conflict thesis in general, and with the claim regarding the spatial insignificance of the earth in particular. Regarding the latter, everyone, of course, feels a sense of insignificance when faced with the vastness of the cosmos. This is universal, although some ages and cultures feel it more intensely than others. But before it can made into an argument against Christianity, several further questions must be answered. For example, why would something's value or importance be connected to its size? Does Christianity actually teach that humanity is the most important thing in the universe? If so, does it tie this to a belief that the universe is small and the earth the largest thing in it? Is it really only with modern science that we've discovered the universe's immensity, and thus the disparity between it and ourselves? In the remainder of this post I'll be addressing this last question from the side of science. -- The impression that the universe dwarfs us is based on a sort of common sense view of measurement. But a couple of years ago James made a very important point about this issue. He compared human beings to the smallest and largest things in the universe; that is, he used the exponential scale which is precisely the standard of measurement which physicists employ. When this is done, it reveals that human beings are actually closer to the larger end of the scale than the smaller end. The smallest is the Planck length at 10-35 meters, and the largest is the universe itself, at about 1025 meters. "So comparing our absolute size to the smallest and biggest possible things in the universe, we are about three fifths of the way up the scale. In other words, we are of medium to large size using the exponential scale, the only scale that makes any sense in physics." Of course, one could simply reject this standard of measurement as having any relevance to the issue. If one does, however, then one would have to reject the argument under discussion as well: for it depends on the claim that modern science has demonstrated our spatial insignificance. You cannot make this claim while rejecting the very method of measurement actually used by the sciences in question. -- Another scientific point involves the Anthropic Principle. One of the characteristics I mentioned in this post is that the universe's mass density must be precisely what it is in order for life to be possible anywhere at any time in the universe's history. The mass density is the amount of matter in the universe. The velocity with which the matter and energy created in the Big Bang burst outward was precisely governed by the universe’s mass density, since the more mass there is, the more gravity would slow down the expansion, matter being what gravity acts upon. If the universe's mass density were different by one part in 1060, life could never exist at any place and at any time in the universe's history. In other words, if the universe was just a trillionth of a trillionth of a trillionth of a trillionth of a trillionth smaller or larger than it is -- an amount equal to "about a tenth part of a dime" according to the link above -- the universe’s velocity would either have overpowered gravity, or it would have been overpowered by gravity. The first case would have prevented the matter from being collected into stars and galaxies. The second case would have resulted in the universe collapsing back in on itself. Either way, life would have been impossible anywhere at any time in the universe. So in order for life to be possible on our dust speck of a planet, the universe must be precisely the size that it is. Of course, some people will insist that this is not enough. Just because every piece of matter had some relevance to the universe's initial expansion, it does not have any connection to our existence now -- and this calls into question any view that sets up the earth and humanity as significant. In other words, unless every rock, planet, star, and galaxy in the universe is always and only there for our benefit, Christianity (somehow) cannot be true. But what exactly is being asked here? Given the necessary fine-tuning of the universe's mass density, the matter making up these rocks, planets, stars, and galaxies had to be there. To ask why they're still there is to ask why God didn't destroy them once they served their initial purpose. In other words, it is to expect God to destroy the evidence of what he has done. This is problematic on several levels, not least of which is that if God did do this, the same people who raise this objection would obviously be pointing to the lack of evidence for God. So it seems that no matter what he does -- whether he keeps the matter there as a testimony to his actions or whether he destroys it once it has served this purpose -- they will use it as an argument against his existence. I may come back to this in future installments. 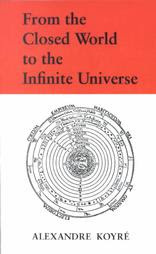 -- Alexandre Koyré argues in From the Closed World to the Infinite Universe that there is an element to modern cosmology that is lacking in its ancient and medieval counterparts. Regardless of how big they thought the universe to be, they clearly believed it to be finite. But modern science has, according to Koyré, demonstrated that the universe is infinite. The reason this is significant is because moving from one finite size to another is not the same as moving from a finite size to an infinite one. Regardless of how large the ancients and medievals conceived the universe to be, there is a difference in kind involved here, and this is the significant aspect of modern cosmology that refutes the ancient and medieval cosmology. "Let us not forget, moreover, that, by comparison with the infinite, the world of Copernicus is by no means greater than that of mediaeval astronomy; they are both as nothing, because inter finitum et infinitum non est proportio. We do not approach the infinite universe by increasing the dimension of our world. We may make it as large as we want: that does not bring us any nearer to it." I will not contest here Koyré's claim that an infinite universe is a different type of thing than a finite one, and as such, would represent a complete change of our view of the cosmos as well as ourselves. On this score, C. S. Lewis agrees: in The Discarded Image (a text to which I'll be returning) he argues that there is a radical difference between believing in a distant horizon and believing in no horizon at all. Hence to look out on the night sky with modern eyes is like looking out over a sea that fades away into mist, or looking about one in a trackless forest -- trees forever and no horizon. To look up at the towering medieval universe is much more like looking at a great building. The 'space' of modern astronomy may arouse terror, or bewilderment or vague reverie; the spheres of the old present us with an object in which the mind can rest, overwhelming in its greatness but satisfying in its harmony. That is the sense in which our universe is romantic, and theirs was classical. This explains why all sense of the pathless, the baffling, and the utterly alien -- all agoraphobia -- is so markedly absent from medieval poetry when it leads us, as so often, into the sky. Dante, whose theme might have been expected to invite it, never strikes that note. The meanest modern writer of science-fiction can, in that department, do more for you than he. Pascal's terror at le silence éternel de ces espaces infinis never entered his mind. He is like a man being conducted through an immense cathedral, not like one lost in a shoreless sea. Perhaps, then, one could argue that since an infinite universe presents us with an object in which the mind cannot rest, this sense of "agoraphobia" that it produces entails a greater sense of insignificance than any finite universe could convey; and hence a greater assault on humanity's dignity. However, Lewis argues to the contrary: an infinite universe would have no absolute standard of measurement, only relative standards. But a finite universe would have both absolute and relative standards of measurement. The really important difference is that the medieval universe, while unimaginably large, was also unambiguously finite. And one unexpected result of this is to make the smallness of Earth more vividly felt. In our [infinite] universe she is small, no doubt; but so are the galaxies, so is everything -- and so what? But in theirs there was an absolute standard of comparison. ... The word 'small' as applied to Earth thus takes on a far more absolute significance. Koyré argues that modern science requires a complete overhaul of our view of the cosmos and our place in it because we have discovered that the universe is infinite. The irony is that, even before Koyré wrote this, Einstein's relativity equations and Edwin Hubble's observations of the expansion of the universe indicated something different. Today Big Bang cosmology has established that the universe is spatially and temporally finite. It began to exist a particular time ago, and has a finite size. In this sense at least, the ancient/medieval cosmology has been exonerated. Whether Lewis is right to describe it as "unimaginably large" will be the subject of the next installment. It seems to me absurd to doubt that a man may be an ardent Theist & an evolutionist. What my own views may be is a question of no consequence to any one except myself.— But as you ask, I may state that my judgment often fluctuates. In my most extreme fluctuations I have never been an atheist in the sense of denying the existence of a God. I think that generally (& more and more so as I grow older) but not always, that an agnostic would be the most correct description of my state of mind. In the seed (of a tree), then, there was invisibly present all that would develop in time into a tree. And in this same way we must picture the world. Certain religious ideals are now so firmly a part of the status quo that we often forget that at their birth they were highly subversive. In the society of the ancient Mesopotamians, it was thought that human beings had been created to be the slaves of the Gods. Accordingly humanity had been assigned to build temples and offer sacrifices to them while their lazy celestial overlords looked on with magnificent indifference. In the text of Genesis the Hebrews turned this idea on its head, proclaiming that humans are actually God's representatives on earth, created in the spiritual image of God, with a responsibility to care for his creation. It was this 'myth' which was said to have been shattered with the emergence of another subversive idea, one contained within Charles Darwin's ‘On the Origin of Species’ which was published on the 24th of November 1859. According to the standard account this work shattered the spell of natural theology, exposed our lowly origins and plunged the Victorian world into a crisis of faith. This historical record reveals a more complex and interesting picture and shows we need to be wary of our sound bite culture and its tendency to reduce the relationship between science and religion to a series of ugly struggles. As Darwin was at pains to point out, just as Newton had replaced the invisible hand of God with the invisible force of Gravity so – he said, quoting ‘a celebrated author’ (Charles Kingsley)- it was a noble conception that God ‘created a few original forms capable of self-development into other and needful forms, as to believe that he required a fresh act of creation to supply the voids caused by the action of his laws’. ‘May not the habit in scientific pursuits of believing nothing till it is proved, influence your mind too much in other things which cannot be proved in the same way, & which if true are likely to be above our comprehension.... Every thing that concerns you concerns me & I should be most unhappy if I thought we did not belong to each other forever’. In terms of the reaction to Darwin’s theories, it is figures like Bishop Wilberforce who have come to epitomise the response of Christian thinkers. Although it is important to emphasise that a large number of them were deeply disturbed by what Darwin had to say, there were good reasons for many to warm to the picture presented by ‘The Origin’. 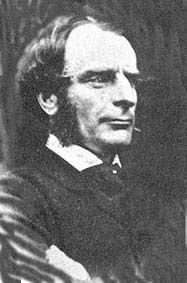 Charles Kingsley felt it was ‘truly an ennobling vision of nature’ and of god, that ‘he could make all things; but behold, he is so much wiser than even that, that he can make all things make themselves’, an escape from ‘that shallow mechanical notion of the universe and its creator’. Despite some misgivings with the randomness of natural selection, Asa Gray felt that the theory of evolution unified all of mankind. No longer could you argue, as many at the time did, that there were separate primordial races, which could justify slavery and racism. Sadly he was to be proved wrong in the next century. Frederick Temple, who became archbishop of Canterbury in the 1880s preached a sermon in which he enthusiastically exposed Darwin's ideas and welcomed the rise of scientific naturalism. To extend the domain of natural law, he argued, added plausibility to the notion of a world in which there was also a binding moral order. Of the many correspondents Darwin exchanged letters with, around 200 were clergyman, some of them personal friends; many of them provided Darwin with biological data for his publications. 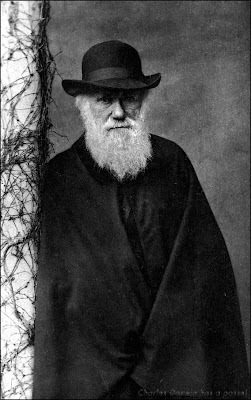 The historian James Moore writes that 'with but few exceptions the leading Christian thinkers in Great Britain and America came to terms quite readily with Darwinism and evolution'. Likewise, George Marsden reports that '...with the exception of Harvard's Louis Agassiz, virtually every American Protestant zoologist and botanist accepted some form of evolution by the early 1870s'. It was only in the next century that widespread religious opposition began to manifest itself, as, like every powerful idea, evolution came to be adopted as a battering ram for disparate ideologies; Marxism, capitalism, scientific naturalism and, notoriously, eugenics. If there's one charge that keeps getting leveled by atheists against Christians (and religious believers in general), it is that they are so darn stubborn. They cling tenaciously to their quaint superstitions, apparently in the teeth of evidence. They seem impervious to the 'devastating' rational challenges to their belief systems. What's more, in their delusion they do not realize that the best proof of the falsity of their own belief system is the existence of other belief systems with adherents equally as intelligent and equally devoted. The implicit criticism here is that a truly open-minded, critically thinking person should hold to something like Clifford's principle in deciding what to believe: one's beliefs should be strictly proportioned to the evidence for them. If there seem to be equally plausible arguments for and against a certain position, the only rational choice is agnosticism concerning that position. From this point of view it is not only cognitively misguided to hold to one's convictions in spite of serious challenges to it, but morally wrong as well, as Clifford illustrates with the example of a ship-builder who does not know how soundly his ship has been built, but lets people ride on it anyway. If the ship sinks, the blame lies entirely with the ship-builder for basing his decision on inadequate evidence. Applied to religion, this view implies that religious belief is unjustified in the face of evidence against it in the form of counter-arguments, less than convincing empirical or conceptual evidence and the existence of other belief systems with adherents equally as committed and intelligent. Is this really what we should conclude, though, from religious disagreement? In his book Faith and Criticism, Basil Mitchell argues that, on the contrary, Clifford's principle is actually very bad advice when it comes to making cognitive choices about belief systems. There are two problems with it: first, since human cognition is egocentric (i.e. we can't jump outside our heads to take a 'view from nowhere') we cannot take a totally objective view of the evidence for and against a position. When it comes to applying Clifford's principle, the best one can do is proportion one's beliefs to one's perception of the significance of the available evidence. And here is where the first problem comes in: it will often be the case that one's perception of the evidence does not reflect its true weight. It could be that difficulties with one's belief system which seem at first glance to be fatal, are actually only apparent, or vice versa. The second problem is a direct consequence of the first: if one concludes that certain difficulties are fatal to one's belief system when in reality they are only apparent, the belief system will be abandoned before its full implications and explanatory power can be laid out. People will propose deep and insightful ideas, only to have them shot down at the first sign of apparent counter-evidence. We see this many times even in the natural sciences, where it would seem Clifford's principle would be most applicable. In physics, chemistry, biology and everywhere else, the only way science progresses is as a result of scientists passionately clinging to their pet theories, trying to answer all possible objections, before eventually giving up when the difficulties really do become fatal, and a rival paradigm of greater explanatory scope (which also provides an account of why the other paradigms were unsuccessful) is widely accepted. Or, alternatively, the scientist sticking to his guns is vindicated by the course of events. This is what happened with Charles Darwin. In the Origin of Species he candidly admits that "A crowd of difficulties will have occurred to the reader. Some of them are so grave that to this day I can never reflect on them without being staggered; but, to the best of my judgment, the greater number are only apparent; and those that are real are not, I think, fatal to my theory." (quoted in Faith and Criticism, p.18) Think of that: Charles Darwin was staggered by the objections raised against his theory, but he obstinately clung to it, convinced that most of the difficulties were merely apparent. He would have been called a religious fundamentalist by some of the posters on DC and other supposed 'champions of reason'! Obviously, if matters are this complicated in the natural sciences, the most empirical and precise of all disciplines with the most impartial mechanisms for weeding out error, how much more so is this case in the social sciences and humanities, where the discussion is much more qualitative, the criteria for success or failure much less clear and so much more being at stake for individual human beings. For example, think of the rivalry between Keynesians and classical or Austrian economists about the best kind of economic policy for increasing productivity and standards of living. Both are paradigms with eminent scholars, ingenious arguments and access to the same kinds of evidence. Who should one trust in this case? You can hear scholars in both camps calling those in the other 'hacks', 'ignoramuses' and other choice epithets, each denouncing the other for not properly interpreting evidence and allowing theory to influence facts instead of vice versa. But it is only through this kind of vigorous back-and-forth that positions can be refined, evaluated, and then either discarded or embraced. But in the mean-time, it takes obstinate people with courage to stick with the perspective to its ultimate limits. Paradoxically, then, as John Stuart Mill suggested, "truth is better served by having a variety of systems of belief in vigorous competition with one another than by allowing the expression only of what is currently held to be the truth. This policy favors the optimal development of the rival systems by encouraging creativity and ensuring the exposure of each of them to the most determined criticism." (Faith and Criticism, p.29) So the existence of rival religious traditions, far from providing a reason for agnosticism, is actually a reason to commit oneself all the more passionately to one's own tradition, working out its implications and fearlessly testing it against the most formidable challenges from other traditions. Of course there is a difference between the obstinacy proper to vigorous rational debate and the dogmatism that keeps the mind trapped in defunct ideologies. But this is a very fine line to draw, so in light of the above considerations it is better in general to err in being conservative with one's beliefs, especially if they come from a long tradition of brilliant thinkers who contributed much to Western civilization and faced many of the same challenges that are still brought up against that tradition. It is my judgment that people like Anthony at Debunking Christianity gave up far too soon, before they could become acquainted with the full richness of the Christian tradition and its resources for making sense of human experience. ‘With their insatiable hunger for loot, they ransacked the houses of the wealthy, murdered men and violated women for sport; they guzzled their loot washed down with blood and from mere satiety, they shamefully gave themselves up to effeminate practices, plaiting their hair and putting on women’s clothes, drenching themselves with perfumes and painting their eyelids to make themselves attractive. They copied not merely the dress, but also the passions of women, devising in their excess of licentiousness unlawful pleasures in which they wallowed as in a brothel. Thus they entirely polluted the city with their foul practices. Yet though they wore women’s faces, their hands were murderous. They would approach with mincing steps, and, whipping out their swords from under dyed cloaks, they would impale passers-by. Cross dressing thereby symbolises the nation’s demise and as the Zealots push the boundaries of moral decency the boundaries of gender disintegrate. 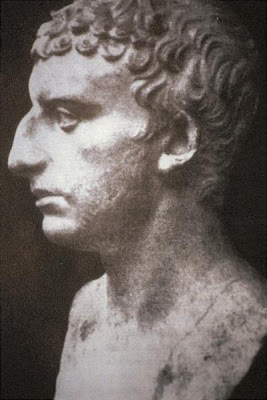 This image of effeminacy and sexual promiscuity reflected a long and recurring trend within classical historiography, the idea that the ‘bad guys’ in civil conflict and war would inevitably reach a state of moral decadence. We are told by Tactius for example that Fabius Valens acquired a ‘long and luxurious train of harlots and eunuchs, advancing at a pace too sluggish for battle’ (Tacitus, Hist III 39-40), and presumably they weren’t much use when they eventually got there either. Presumably, if Josephus or another Classical author were to script a Bond movie, it would have the main villain depicted as a sinister, limp wristed, cross dresser who sits in his lair preening himself and applying generous quantities of makeup; all the while surrounded by prancing eunuchs and harlots. Sounds less like James Bond and more like ‘Carry on Up the Khyber’. At rest, however, in the middle of everything is the sun. For in this most beautiful temple, who would place this lamp in another or better position than that from which it can light up the whole thing at the same time? For, the sun is not inappropriately called by some people the lantern of the universe, its mind by others, and its ruler by still others. [Hermes] the Thrice Greatest labels it a visible god, and Sophocles' Electra, the all-seeing. The most wretched and frail of all creatures is man and withal the proudest. he feels and sees himself lodged here in the dirt and filth of the world, nailed and riveted to the worst and deadest part of the universe, in the lowest story of the house, the most remote from the heavenly arch"
Heliocentrism; It’s pretty obvious isn’t it?. How could anyone have been stupid enough to believe that the earth is the centre of the universe? ; it must have been because they were a bunch of ‘sky fairy’ worshipping simpletons, whereas you are a modern, enlightened man of science and reason. Unfortunately what you have just demonstrated is the mode of thought known as ‘patronising historical hindsight’; but don’t worry, you are not in the minority, in fact you find yourself in pretty illustrious company. It is in the nature of man to denigrate his forebears. It could not be otherwise. However, for an honest assessment of the Galileo affair we need to get back into the minds of the protagonists and see things as they saw them. In all likelihood, had you been alive at the time of Copernicus, you would also have rejected the Heliocentric model as an interesting but silly mathematical fiction, for the simple reason that this was the opinion of the overwhelming majority of astronomers at the time. Cleanthes (a contemporary of Aristarchus and head of the Stoics) thought it was the duty of the Greeks to indict Aristarchus of Samos on the charge of impiety for putting in motion the Hearth of the universe (i.e. the earth), . . . supposing the heaven to remain at rest and the earth to revolve in an oblique circle, while it rotates, at the same time, about its own axis. 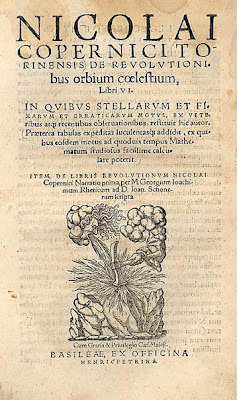 And so Aristarchus’s theory was ignored, until in 1543 an obscure Catholic Church administrator by the name of Nicholas Copernicus published a book called ‘De revolutionibus’ in which he defended the heliocentric alternative as true. In his work he created detailed mathematical models which allowed him to predict planetary observations with a high degree of accuracy. Since his calculations worked pretty well, why did almost all of his contemporaries and immediate successors reject the proposal?. The answer is that the evidence in favour of it was indecisive, one might almost say weak. The sole advantages of the model were in the elusive realms of beauty, theoretical elegance and intelligibility. For example, it eliminated all non uniform motion from Ptolemy’s planetary model by getting rid of the equant, and all motions in Copernicus’s model therefore follow the Aristotelian notion of uniform circular motion. It had important explanatory possibilities; it explained the periodic reversal of the planets against the background of the stars as an optical illusion thus bringing intelligibility to a previous inexplicable feature of the universe. It also explained why mercury and Venus are never seen very far from the sun (they are in small orbits). Against these there were amassed a series of decisive disadvantages. There was no observation capable of proving the earth was a planet. Predictions using the system were no more accurate than that of the ancient Ptolemaic system. Heliocentrism represented a massive violation of common sense. It destroyed the only coherent system of physics available; the Aristotelian system. Aristotle’s world was built on a stationary earth and a rotating and revolving Earth was deemed an absurdity because the motions would require very large speeds. If this really was the case, how was the earth supposed to be moving?. Where was the physics to explain this movement?. Hurling the earth into the heavens also destroyed the dichotomy between heavens and earth that had previously been central to European thought for 2000 years. According to the accepted cosmology of the period our miserable sphere was located at the bottom of the celestial hierarchy, considered too unworthy to be part of the heavens due to its imperfect and sinful nature and with hell and purgatory placed at its core. Our planet stood in dismal contrast to the heavenly firmament above, a realm of perfection derived from Plato's Theory of Forms with the realm of God beyond. Out of all celestial bodies our earth was emphatically the Detroit of the Cosmos. Promoting it to the heavens required a vast conceptual leap. Another question the model raised is if the sun is at the centre of the universe, why doesn’t everything fall into it?. Copernicus’s explanation for this was that ‘earthly things’ tend to fall towards earth; solar things tend to fall towards the sun; Martian things tend to fall towards mars and so on and for forth. What he meant was ‘I haven’t a bloody clue’, thus demonstrating a good scientific theory doesn’t always need to make any sense. But by far the biggest challenge to heliocentrism was the parallax, the way nearer objects will seem to move relative to more distant objects. Copernicus’s contemporaries argued that if the earth moved around the sun, then there must be some evidence of a parallax effect; in fact the same objection had been raised against Aristarchus centuries earlier. A moving earth would mean that the earth would be on opposite sides of the sun six months apart. 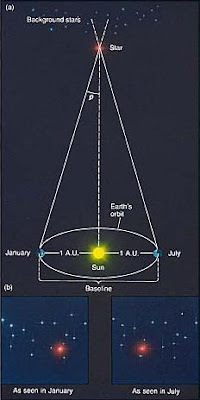 And if the earth was on opposite sides of the sun six months apart there should be some visible change in the relative position of the stars during the year. The only way Copernicus could preserve his model was by contending that the stars were so far out that a stellar parallax would not be measurable. Thus the heliocentric universe would have to be massively larger than otherwise necessary; a very ad hoc explanation. As a result you can count on the fingers of one hand the number of Copernicus’s contemporary astronomers who joined him in espousing heliocentrism. 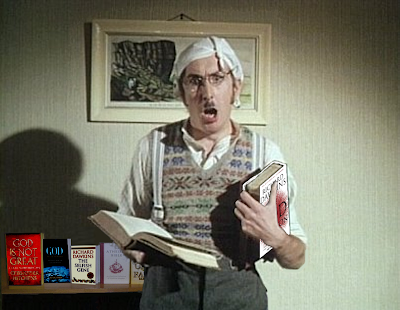 It is not true, as Arthur Koestler maintained in ‘The Sleepwalkers’ that De revolutionibus was ‘the book no-one read’. In fact, as Owen Gingerich has shown, despite being a murderously technical and geometrical treatise it was owned by virtually all of the important figures in the history of astronomy. It was not rejected on the grounds of close-mindedness, biblical literalism or conservatism. It was rejected based on deeply held scientific principles. It was used for calculations but it was thought to be physically impossible. 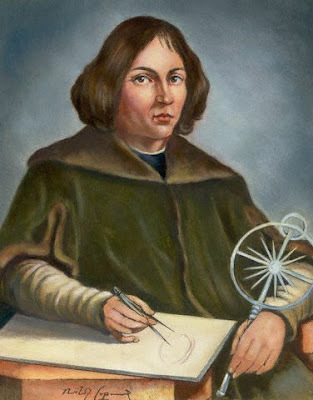 The Copernican System was complex and unwieldy, requiring a total of 48 epicycles, compared to 40 in the Ptolemaic geocentric system. It did however have a number of minor advantages which would become compelling as time went on. It had a slight edge over the Ptolemaic system in predicting the positions of the planets and it eliminated the clumsy equant. The biggest asset it had was its conceptual simplicity, eliminating many of the contrivances of the geocentric system and the differences in the motion between inferior and superior planets. In time it would become powerful and truly revolutionary. With this special attack upon geological science by means of the dogma of Adam’s fall, the more general attack by the literal interpretation of the text was continued. Especially precious were the six days—each "the evening and the morning"—and the exact statements as to the time when each part of creation came into being.... Difficult as it is to realize it now, within the memory of many now living the battle was still raging most fiercely in England, and both kinds of artillery usually brought against a new science were in full play, and filling the civilized world with their roar. The story which has worked its way into the public consciousness is that, throughout history, the study of Geology has been hampered, held back and opposed by those who were standing up for the Genesis account; not only with the present day creationist movement, but also in the 18th and 19th centuries. This story has been fostered by the self appointed spokespersons of science and used for ideological purposes. As the scientific study of the world progressed there was a dawning realisation that human history was but a tiny speck at the end of a long and eventful geo-history of the earth. Something of this was captured during last night’s episode of the Victorians, presented by Jeremy Paxman. The show’s narrative included the painting by William Dyce of Pegwell Bay; a significant location because it was where St Augustine of Canterbury landed in 597 AD. The painting conveys a great sense of unease, an effect created by the looming cliffs and the autumnal light. 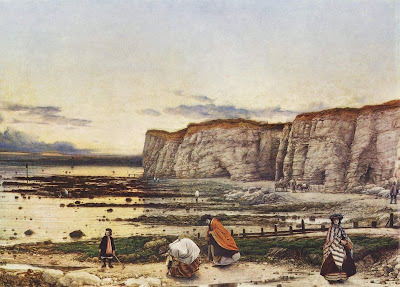 The focus of attention is drawn to the women collecting seashells in the foreground and the evidence of the great age of the earth all around them, the fossils, the flints and the eroded chalk cliffs. Dyce’s curiously joyless painting is therefore a typically Victorian expression of religious doubt, the gloomy rocks and the comet which traces its course over the sky both dwarfing one’s existence into insignificance. This is a sentiment we find echoed in Matthew Arnold’s Dover Beach, with it's ‘sea of faith’, ‘once full’, but now ‘Retreating, to the breath of the night-wind and naked shingles of the world’. When Alfred Lord Tennyson, consumed by grief for the lost of his friend Arthur Hallum, turns to the rocks for solace he sees only the brutality of mass extinction; ‘ From scarped cliff and quarried stone She cries, "A thousand types are gone: I care for nothing, all shall go’. No wonder that John Ruskin was moved to comment, in 1851, "If only the Geologists would let me alone, I could do very well, but those dreadful Hammers! I hear the clink of them at the end of every cadence of the Bible verses'. Geology then, had an undeniable significance in the Victorian crisis of faith. It was in the 17th century that the much maligned Archbishop Ussher proposed the night preceding 27 October 4004 BC as the date for the creation of the universe, and interestingly, the beginning of time itself. Usher was a not very distinguished member of a whole science called chronology. 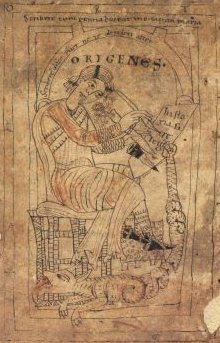 This was a discipline of textual scholarship, which wasn’t even primarily biblical. Mainly this was a historical science, a branch of human history, into which the bible naturally fitted because it was one of the oldest historical narratives. The goal of chronology was to construct a world history which would be cross cultural. Usher’s book covers the period from 4004 BC, up till around the time of the fall of Jerusalem, and it primarily is focused on the last few centuries which was where the vast majority of evidence lay. 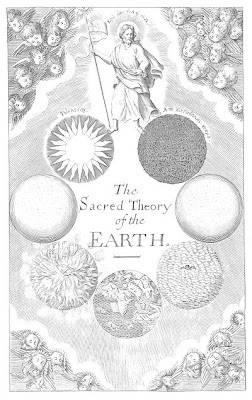 Somewhat later than Ussher, Bernet’s ‘Sacred Theory of the Earth’ was published. The frontispiece has Christ standing astride over seven successive stages of the earth. Although this is arranged in a circle, it is a linear kind of history with Jesus in charge from the beginning to the end. The position Burnet argues against is Aristotle’s eternalism, the idea that the cosmos has always existed. So the area of conflict at this point of time was between two alternate accounts, neither of which was the modern concept of a very long, but finite, history of the earth. Instead the choice was between a short, but finite, history and on the other hand, Aristotle’s concept of an infinitely long and uncreated kind of history. In this context geology could be used to counter enlightenment deism, in particular the idea of an eternal present summarised by James Hutton (1726-97), ‘we find no vestige of a beginning, no prospect of an end’. The development of modernity was to extend the short time scale but specifically to recognise that a great deal of the earth’s history was pre-historical and pre-human. Aristotle was wrong, and not for the first time I might add. In the 18th century, the relevant natural historians became aware that there was good evidence for a very long time scale. One of the reasons for this was because of the immense piles of sedentary strata we see around us, many of which contain large quantities of marine shells. It therefore became inconceivable that all these layers could be easily fit into a short time scale (Yes, I know! - it is conceivable, Young Earth Creationists try to do it today - but we shall leave that aside). The second reason was volcanoes, specifically the historical records which showed one eruption after another. One could therefore get a pretty good idea of how much of the cones of volcanoes such as Etna and Vesuvius had been accumulated within recorded history; a very small amount as it happened. By the end of the 18th century therefore, there was a very strong sense of ‘deep time’, as research progressed this would be strengthened and qualified. Comte De Buffon, drawing on his theory that the earth had been a cooling body, estimated that the age of the earth was 75,000 years. The Oxford Geologist William Buckland(1784-1856 - pictured on the right) writing in the early part of the following century, spoke of geological time as amounting to ‘millions and millions of years’. According to the research of Professor Martin J Rudwick, deep time appears to have had no religious implications amongst scientists, the reason being that there was a long standing hermeneutic tradition - going all the way back to the church fathers - by which you could interpret Genesis according to the natural facts. You could for example, say that the days of Genesis were simply long periods of time, or you could say that it was simply a story about human history. The biblical literalism which had been a novelty in the 17th century had yielded in the 18th century to an appreciation of the multi-vocality of the bible and a realisation that taking bible passages at face value might obscure the meaning. A good example is this is the case of Haydn, whose 'Creation' was based on Genesis 1. Having lived in London, Haydn was a friend of a naturalist called John Hunter who knew all about deep time and would presumably have discussed it with him. It doesn’t appear to have made any difference to the composer. It is only in the 1820's that we find a reversion to literalism in the movement called scriptural geology which emerged in Great Britain. This movement was attacked most vehemently by those geologists who were known as believing Christians. It was a conflict which would find an echo in the twentieth century with the growth of young Earth creationism. In the 19th century, the flood story was seen to be historical in character in a way which was no longer applied to the creation story. The reason for this was that similar stories were being discovered in non European societies and it appeared to be a cross cultural phenomenon. It was therefore regarded as being part of the earth history and seemed to be a boundary event between the history of humanity and that of the deep time which preceded it. There appeared to be natural documents as well as human records. This led to the theory of the geological deluge which could either be regarded as distinct from, or the same event as the biblical flood. One can easily understand why this became a serious scientific proposition called the Diluvial theory. One of the biggest problems at the time was that Geologists would find enormous blocks of rock which could be traced back to their source. In many cases was found that they had moved hundreds of kilometers. How had they made this journey?. The explanation at the time was that they had been transported by an enormous current of water, which seemed to need a huge causal origin; a mega tsunami. It was an obvious starting point to link this to the biblical flood and similar events recorded by other civilizations. The account of Noah’s ark does not suggest a worldwide catastrophe, but it was felt by Geologists like Buckland that the story, although garbled, had a core of historicity. Buckland’s description of how material had been transported from Northern England to London therefore drew on the flood for explanation. 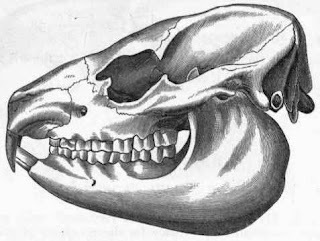 Diluvial theory was extended by Georges Cuvier into an explanation of the extinction of the large mammal species and the Pleistocene mega fauna in the geologically recent past. The evidence for a great deluge was dramatically reinterpreted over several years in the light of a new theory, the ice age. Rather than science triumphing over religion, the biblical flood was simply recognized as referring to a local Mesopotamian event and separated from evidence for the proposed geological tsunami, now interpreted as due to the action of glaciers. 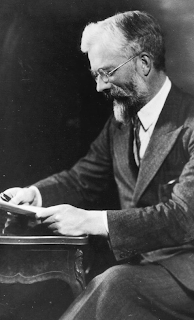 Buckland soon changed his mind and helped introduce the glacial theories of Jean Louis Agassiz. Geologists returned to earlier hermeneutical methods ( e.g. days as geological periods) and reconciled Genesis and Geology. 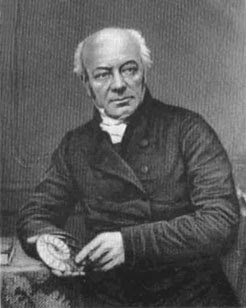 Buckland , for example, held the view that the first two verses of Genesis covered the immensity of geological time, and this approach was endorsed by leading Anglican theologians. The bible was held to cover the history of mankind, scared chronology, the period of the humanity’s existence. There was one uncomfortable fact which the rocks established in 1800; the presence of extinct fossilized creatures. How could death be a punishment for man’s sin if it had already occurred so much in pre-human history?, and why would a good creator allow the gratuitous death and destruction of so many creatures?. There were two solutions, one to claim death was a punishment for man, but not for the whole of creation. Utilitarian arguments were applied to show how death could benefit animals by ending the suffering of the young, the weak and the old. There was also the development of the idea of a great chain of being, the theory that what the fossils showed was progress and progressive development; fish to reptiles, mammals to human beings. 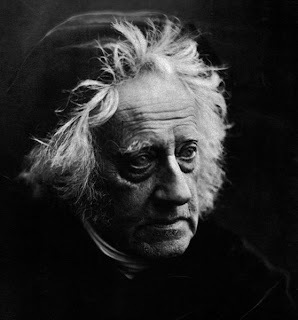 For Adam Sedgwick and Buckland, the Christian idea of history having a direction and a teleology seemed vindicated against the enlightenment’s cyclical time and eternalism; although to many, it was a little too open ended for comfort. Of course not everyone was very happy about this, with Ruskin, for instance, bemoaning the ‘filthy heraldries which record the relation of humanity to the ascidian and the crocodile’. The great detractor from this view was Charles Lyell, who felt that the idea of progressive development he had first encountered by reading Lamarck affronted human dignity and turned mankind into a glorified Orang Utang. As a result he stripped the fossil record of any progressive scheme. Man, he thought, had to be special. As it turned out, he was wrong and the progressive creationists would soon have reason to feel vindicated. All the most ironic that it has re-emerged among American fundamentalists.